Currently at the Max Planck Institute, Germany. 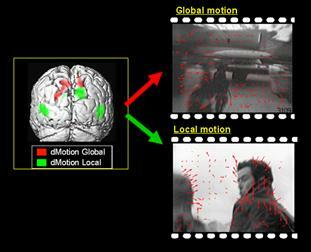 fMRI of the human brain in natural conditions, motion and ego-motion perception, binocular rivalry, connectivity analyses of cortical areas. - Natural Vision Reveals Regional Specialization to Local Motion and to Contrast-Invariant, Global Flow in the Human Brain. A. Bartels, S. Zeki and N. K. Logothetis (2007). Cerebral Cortex (2008), Vol. 18(3), p. 705-717. - The chronoarchitecture of the cerebral cortex. A. Bartels and S. Zeki (2005). Philosophical Transactions of the Royal Society London B (2005), Vol. 360(1456), p. 733-750. - Brain dynamics during natural viewing conditions - a new guide for mapping connectivity in vivo. NeuroImage (2005), Vol. 24(2), p. 339-349. - The chronoarchitecture of the human brain - natural viewing conditions reveal a time-based anatomy of the brain. A. Bartels and S. Zeki (2004). NeuroImage (2004), Vol. 22(1), p. 419-433. NeuroImage Vol. 21(3), p. 1155-1166 (2004). NeuroReport Vol. 17(11), p. 3829-3834 (2000).